Do you want to celebrate Valentine's Day in one of the outstanding Prague restaurants? 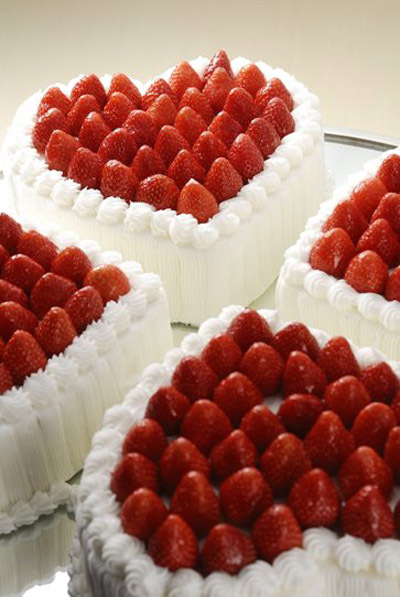 On Valentine's Day (February 14), lovers traditionally express their love with flowers, presents, champagne, strawberries, chocolates and all kinds of delicacies. Surprise and please your partners on this occasion by inviting them to one of our recommended restaurants in Prague and enjoy an evening of romance with great food and drink. 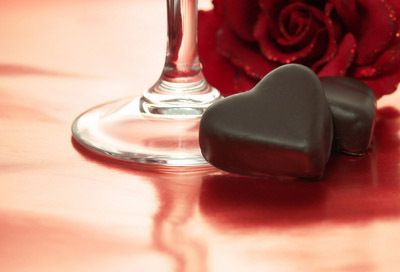 Elements restaurants of President hotel has prepared special St. Valentines menu. At the Elements restaurant Prague, you can enjoy a special 4 course Valentine's menu. Foie gras créme brulée with fig marmalade, chocolate tagliolini with scampi, rabbit saddle with salsify purée and chocolate heart as a dessert at the end. Hard Rock Café Prague has prepared 3 course Valentines menu. Spring rolls, Legendary burger, grilled salmon or Cobb salad and Sweetheart shake (vanilla vodka, vanilla ice cream, strawberries, cream, lemon). Price includes glass of prosecco, beer or wine. Optional offer: beef strip steak with prawns. Evening programme, live music band Reserve, DJ, wedding stage nad photo-corner. Valentine's set for two with panoramic view and live piano performance is prepared for you at the Balu Kitchen restaurant. A special 3-course menu consists of chopped lettuce with grilled octopus, beef fillet with fresh truffle sauce and potato gratin or Norwegian salmon with black rice and young spinach. Finally, chocolate fondue with fresh fruit. Romantic restaurant located by the Vltava river, Altany Kampa, has prepared special St. Valentine´s menu. Appetizer consists of a variation of the roll of radish daikon with shrimp, green peas and baked aubergine followed by main course in the form of veal fillet with sauce of shallots and potato-pea purée or sea bream fillet with potatoes. Finally, chocolate fondant with blackberry sorbet and vanilla sauce. Welcome drink also included. A festive atmosphere in the Villa Richter will be accompanied by St. Valentines menu, which will offer tuna tartar with capers and avocado, monkfish with lobster velouté, sepia pasta and glassworts or veal rib-eye steak with morel risotto and dried tomato mousse. Finally, a strawberry trifle with lemon emulsion. Welcome drink is also included. In the Kampa Park Restaurant, Valentine's Day will be celebrated with a 4 course menu. You may experience salmon trout roe, ravioli filled with prawns, baked cod skrei in combination with cauliflower purée and beurre blac sauce or Australian Wagyu striploin with roasted cherry tomatoes, fries and Béarnaise sauce. Finally, chocolate tart with cherry sorbet. Romantic 4 course valentine´s candlelit dinner will be served at the Home by UNIC. A glass of prosecco to welcome you, deer tartar with quail egg, sunchoke creamy soup with prawns, veal rib steak with foie gras, potato terrine and spinach leaves as the main course, and finally raspberries with rose petals and pink pepper corns. Coffee or tea included. In restaurant Ada the head chef has prepared a special 4 course Valentine menu. Foie gras terrine with pistachio crust and apple caviar, St. Jacobs scallops in combination with purple potatoes, radish and seaweed wakame, duck breast with Jewish artichokes, pumpkin and king oyster mushroom. Finally, vanilla parfait with maracuja sauce as a dessert. Valentine's Day celebration with a special 5-course menu can be enjoyed in the Zlatá Praha Restaurant at the InterContinental Hotel. A starter in the form of a slightly smoked „Vysočina“ beef tartar with truffle pearls, Dijon mayonnaise and duck crackling is followed by cream of young spinach, pan seared bay scallop with malossol caviar, corn chicken roulade with morel stuffing and green pea purée and finally, chocolate mousse with vanilla ganache and black currant sorbet. Valentine's menu includes a welcome drink in the form of prosecco, marinated shrimp with mango, salmon gravlax with lemon creme fraiche, pheasant velouté with potato croquettes and root vegetables, saddle of rabbit with pumpkin puree, cabbage, bacon chips and Saint John walnut as a main course and even a dessert is not missing. A romantic 5 course dinner will be waiting for you on the 14th of February at the Zizkov Tower in the Oblaca Restaurant. Enjoy fried prawns with mango and papaya salad, foie gras terrine with cranberry jam, roasted hazelnuts and forest fruit, the menu also offers creamy spinach soup with smoked salmon and duck breast marinated with star anise in combination with pear compote and confit potatoes. 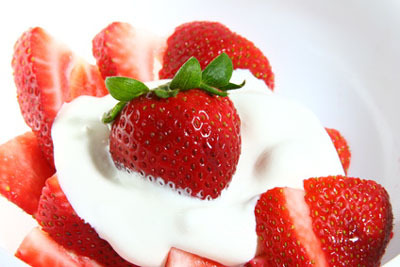 Strawberry panna cottta at the end. Bistro Kaprova has prepared 4 course romantic menu for Valentines Day. Grilled scallops with parsley and carrot purée or beef tartar with truffle caviar, pumpkin soup, saffron risotto with seafood or veal rib-eye steak combined with potato-truffle purée and chocolate brownie with raspberry foam. A glass of rosé wine to welcome you and variation of canapes are included. St. Valentine's Evening at the Augustine Restaurant will offer a 4-course menu and live music. Foie gras terrine with plums and almonds, dover sole with mushrooms and young spinach, veal fillet with salsify, beetroot and buckwheat and mille feuille with chocolate ganache, prosecco sorbet and raspberries. Coffee or tea and home-made pralines are included. Restaurant Luka Lu has prepared special Valentines menu. Cold octopus salad, prosciutto di parma with melon, bruschetta pomodoro with basil, salmon tartar, grilled veal with pepper sauce, grilled calamari, tuna steak and much more. A special 4 course menu in the form of a St. Valentine´s dinner will be served at the Art Nouveau interior of the Sarah Bernhardt Restaurant. A welcome drink is followed by „Black tiger" prawns flambéed with Cointreau on Mediterranean salad, veal consommé with cheese dumplings, Filet Mignon steak with mini vegetables and pepper sauce and Varlhona chocolate tower with strawberry sorbet. Coffee or tea and Petit Fours are included. Romantic restaurant located in the city centre has prepared special 4 or 6 course dinner for St. Valentine´s day in combination with live piano music. Gambero rosso red prawns with purple cauliflower consommé, beef consommé, mango sorbet, sea bass with Champagne sauce, mussels, truffle and Jerusalem artichoke, veal fillet steak with morel cream sauce and lemon lavender tart. Aperitif and coffee or tea are included. A romantic Valentine's menu is prepared for you at the Al Castello Ristorante Restaurant. The menu will be offered on 14th and 15th of February. You may look forward to tuna tartar, chicken chowder with vegetables, veal tenderloin in combination with sweet potatoes puree and vegetable ratatouille and raspberry cheesecake as a dessert. Restaurant COMO has prepared 4 course Valentines menu. Scallops carpaccio with green apple jelly, Marinated salmon gravlax with beetroot and lemon ricotta, roasted duck breast with maple syrup, pecan nuts, asparagus and mashed potatoes, and dessert for both in the form of chocolate mousse with truffle oil, cherries and rose ice cream or coconut sorbet with passion fruit. The retro atmosphere of the Tetu Brissy aeronautical restaurant is perfect for Valentine's romance. Valentine's menu will be offered from 11th to 17th February. You may enjoy duck liver parfait with fig jam, pork tenderloin with pink peppercorns sauce, parsley puree and roasted cherry tomatoes. Tiramisu dessert with raspberries at the end. A special Valentine's menu will be also served at the Kalina Anežka Restaurant at the National Gallery on 14th February. Shrimp cocktail with mango, parsley velouté with black truffle, followed by crispy roasted duck breast with glazed carrot in orange juice combined with almond croquet and sauce of five spices. As a dessert, chocolate tartelette with salted caramel ice cream and roasted banana on rum. Petr Kunc, chef in the Salabka Restaurant, has prepared a rich 8 course Valentine's Day menu. You will be offered for example oysters with sake granita, ravioli with catfish and ganache and butternut squash ganache, saddle of deer with salsify and black pudding puree, chocolate tart with chestnut cream and much more. A vegetarian version of the menu is also available. 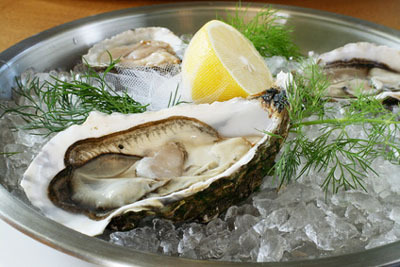 A 4-course Valentine's menu will be served from 14th to 17th February in the restaurant of the 5 Star Carlo IV Hotel. Scallops with sweet and sour salad and wasabi caviar, grilled foie gras with fresh figs and cognac sauce, dorado fillet with saffron risotto, shimeji mushrooms and red curry sauce or rack of venison with roasted vegetables and truffle sauce. The fourth and last course is a Valentine's heart of raspberries with mascarpone and chocolate. Welcome drink, a bottle of wine, water and tea or coffee included. 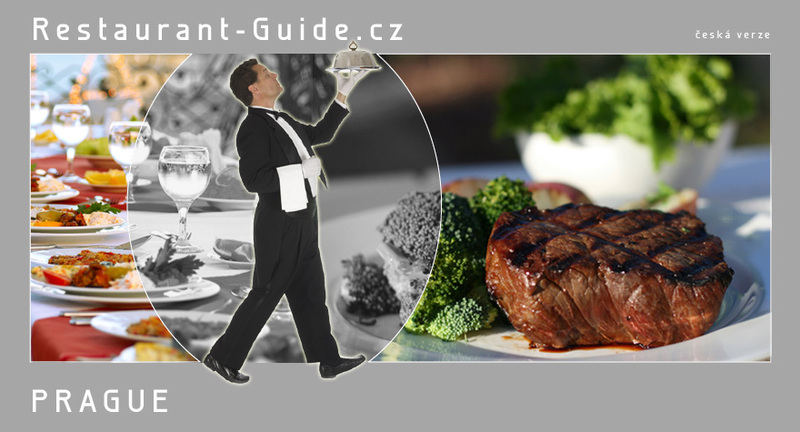 Restaurant Mlynec just by the Charles Bridge has prepared 4 course Valentine menu that consists of emulsion from oysters, avocados and apple, saffron risotto with foie gras or beef steak with Jerusalem artichoke, rosemary cabbage and truffle sauce. Finally, a chocolate balls with sour cherries and hot chocolate. 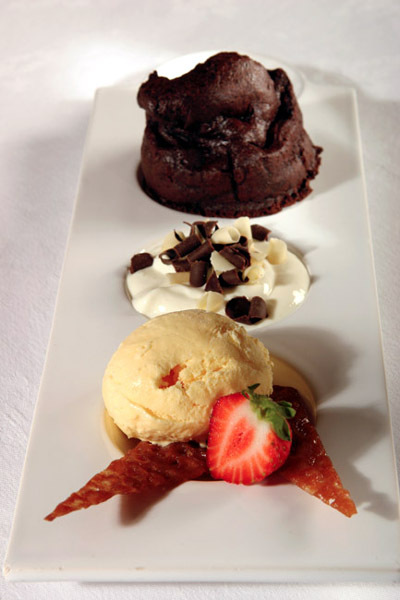 Restaurant La Republica has prepared 3 course Valentine menu. Glass of welcome sparkling wine, roastbeef with rucola salad, basil pesto and Parmesan cheese as a started, grilled pork tenderloin stuffed with plums served with potato rösti and port wine sauce and chocolate cake with cherry sauce at the end. At the Cuban restaurant La Bodeguita del Medio you will enjoy your St. Valentine´s celebration in Latin-style. The Valentine's menu consists of 3 courses. Peas cream with smoked salmon followed by beef sirloin fillet sous vide in combination with risotto, truffle carpaccio and port wine sauce and as a dessert, raspberry sorbet with vanilla mascarpone and pistachio powder. The Chef of restaurant Terasa u Zlaté Studně, Pavel Sapík, has prepared luxury Saint Valentine menu. The menu consists of 7 dishes and includes, for example, marinated Canadian lobster with mango caviar in spicy coconut soup in Thai style, milk-fed veal tartar stuffed with goat cheese, grilled monk fish wrapped in bacon with parsley purée and morels with sauce a la créme, pistachio meringue with fig-raspberry cream and much more. The Valentine's Day at restaurant Coda will be complemented by a special Valentine's menu. As an appetizer, Jamón Ibérico is served, followed by sealed scallops with vanilla-saffron velouté and fava beans, sliced rose veal saddle with smooth salsify purée and veal & truffle ravioli. A sweet ending dessert in this case is raspberry and guanaja chocolate timbal. Water, coffee or tea also included. Vojtech Vaclavik's team of restaurant Hergetova Cihelna has prepared a special Valentine´s menu. You may look forward to octopus carpaccio, tuna tartar with avocado purée, veal entrecote with Café de Paris sauce with homemade French fries or mixed garden greens and baked pineapple with caramel and coconut ice cream. Romantic restaurant U Malířů has prepared 5 course Valentines menu. Veal tartar with truffles, Jerusalem artichoke cream soup with duck foie gras croquette, grilled yellowfin tuna combined with green peas and saffron sauce, supreme of Guinea fowl with celery purée and beluga lentils and sabayon with forest fruits and pistachios as a dessert. Luxury restaurant Paloma in Průhonice has prepared for St. Valentine´s Day delicious 7 course menu. Maki rolled in a kale leave accompanied by artichokes, John Dory filet in Meuniére style accompanied by a sea urchins, shells and crispy Jerusalem artichoke brunoise, apple with passion fruit melting heart with speculoos ice cream and much more. Italian restaurant Il Capitano has prepared special menu for Valentines Day. Beef or prawn tartar, scalops carpaccio or cheese pannacotta, gratinated lanugustini or foie gras with figs, swordfish terrine and ravioli stuffed with cod or goose tortelloni, deer fillet with chanterelle or monkfish and Valentine´s heart as a dessert. Noble French restaurant Art Nouveau in Municipal Hause has prepared 3 course Valentines menu. Tomato consomme with pecorino tortellini, Surf & Turf beef filet steak with grilled prawn, potato and bearnaise sauce and mini desserts. 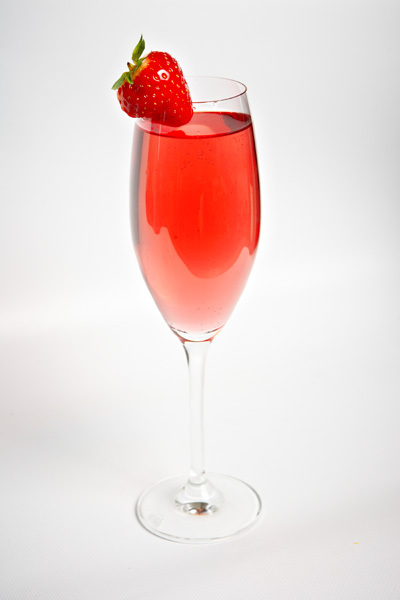 Prices includes wellcome champagne drink, soft drinks and rose for the lady.